This quilt set radiates beauty in your bedroom. It adds an understated elegance to any bedroom. 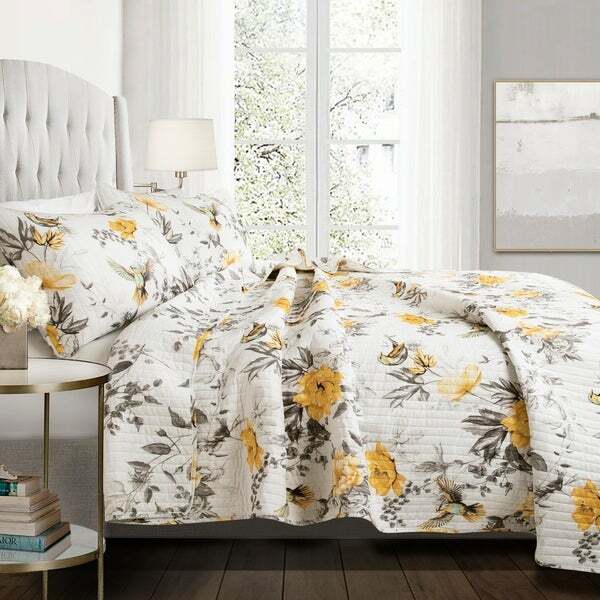 The charming floral pattern and calming soft colors create a peaceful place to get your rest. The soft cotton fabric will keep you cozy through the night.